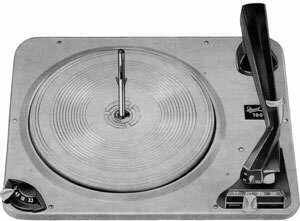 The stereo record changer Dual 1007 is designed for playing of all standard LP, stereo and 78 rpm records. 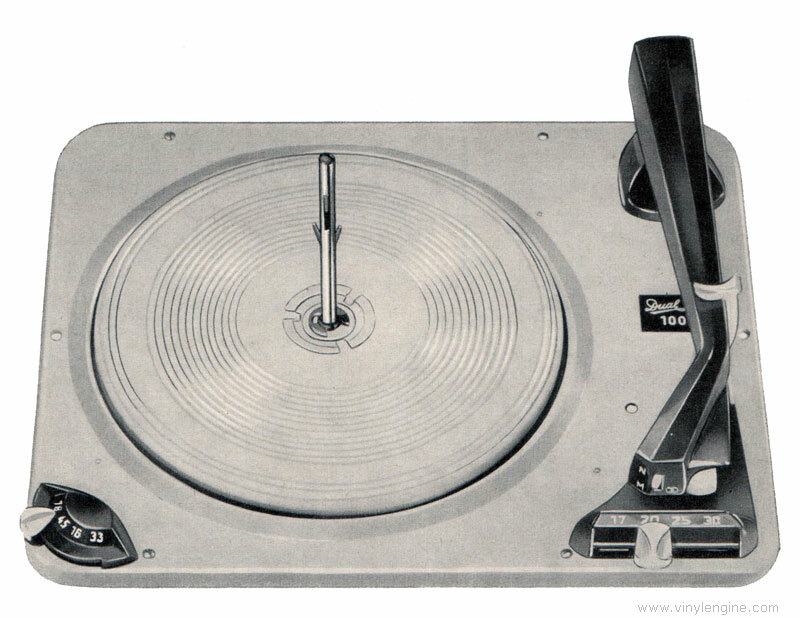 Turntable speeds of 16, 33, 45 and 78 rpm can be selected and the unit can either be operated as an automatic record changer, automatic or manual single player. For the automatic changing of up to 10 7" records the changing spindle AS-6 is available as an optional accessory. The operation of the unit can be interrupted at any time by pressing of the Stop key. After completion of play of either a single record or a stack of records, the shut-off is fully automatic. The built-in stereo crystal cartridge CDS 520/3 secures a perfect reproduction of records. An assortment of special styli and diamond needles is available for this cartridge (see Accessory List 859/11). The motor can be adapted to 110, 150 and 220 volts and for power line frequencies of 40, 50 and 60 c/s. Dual 1007 / CS1007 owners manual, service manuals and schematics are for reference only and the Vinyl Engine bears no responsibility for errors or other inaccuracies. The PDF files are provided under strict licence. Reproduction without prior permission or for financial gain is strictly prohibited. This website is not affiliated with or sponsored by Dual.